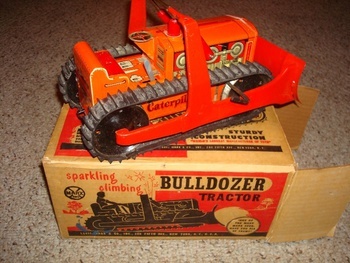 In Model Cars > Model Tractors > Show & Tell and Toys > Marx Toys > Show & Tell. 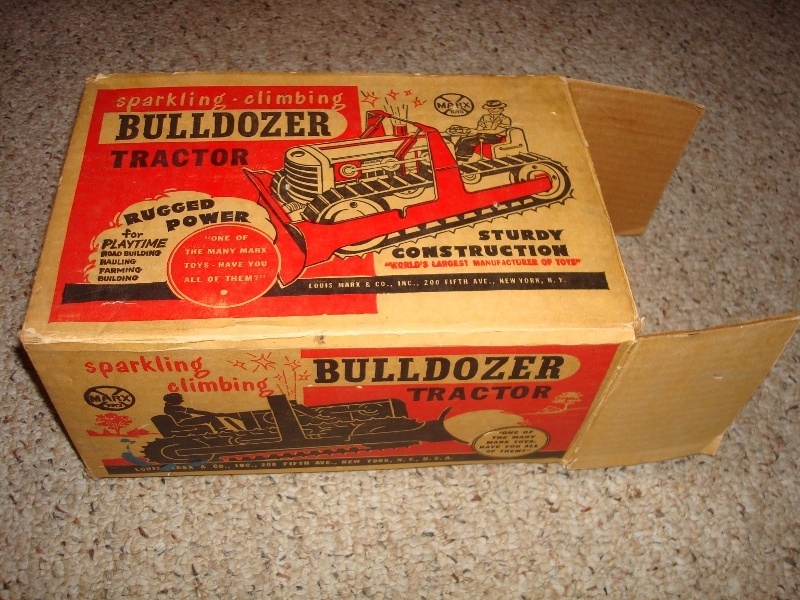 This is an early 1960s Marx "Sparkling * Climbing" Bulldozer Tractor. 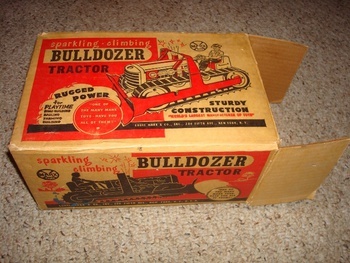 It is especially rare to have the tractor in this good of condition with the original box also in good condition. 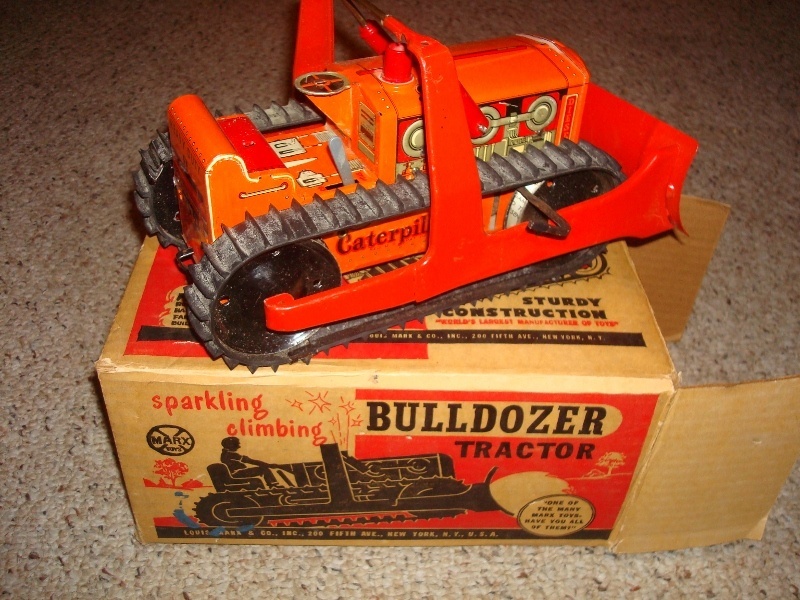 This is really cool, the item shows very little if any playwear and "Caterpillar" lithos in the distinct Marx style. The treads are great and the wind-up action even works! 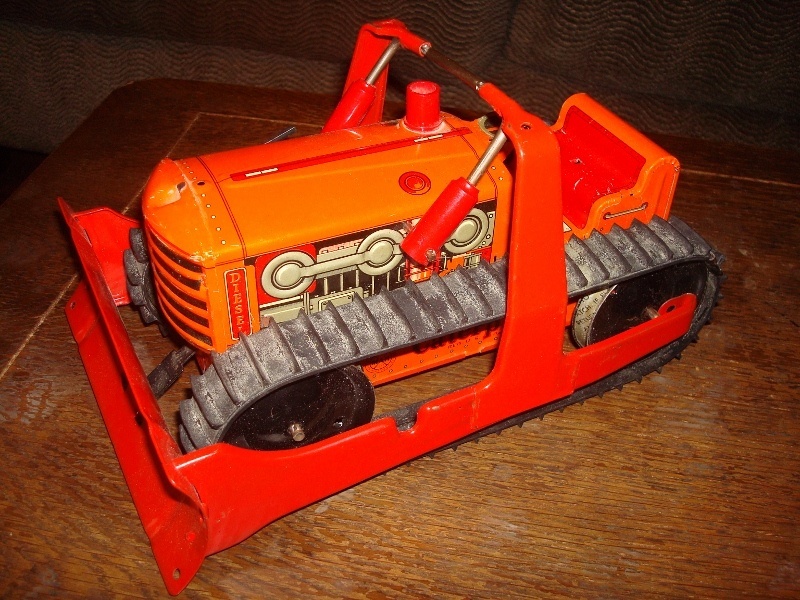 Even though this is a later Marx sample (I consider '60s Marx toys 'later', but it all just depends on the manufacturer and the item), it is one of my favorite pieces in our collection. Exceptional condition, particularly the rubber tracks which have a tendency to dry out and crack. Love the graphics on the box. THANK YOU AzTom, Steeltoad63, BELLIN68, toolate2, fourpeepsake, ThriftStoreAddict, electobacco, Pop_abides, stonesfan1, and officialfuel. Thank you for the love kerry10456! FWIW, I'm looking for a farmer that sits in the seat. I have one, but his leg is broken. That being the case, I need one that isn't broken. 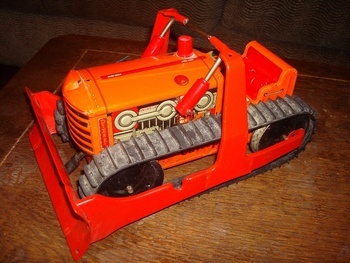 Once I find that, the dozer will have a driver and I'll be happy! Thanks for the love Hedge!! Thanks for the love AzTom! !